Archie Comics really, really want you to get excited about the upcoming Proto Man arc. We've been hearing and seeing a lot of it these last couple weeks and the ball just keeps on rolling. That said, if you're hankering for another teaser, Destructoid's got your next fix. 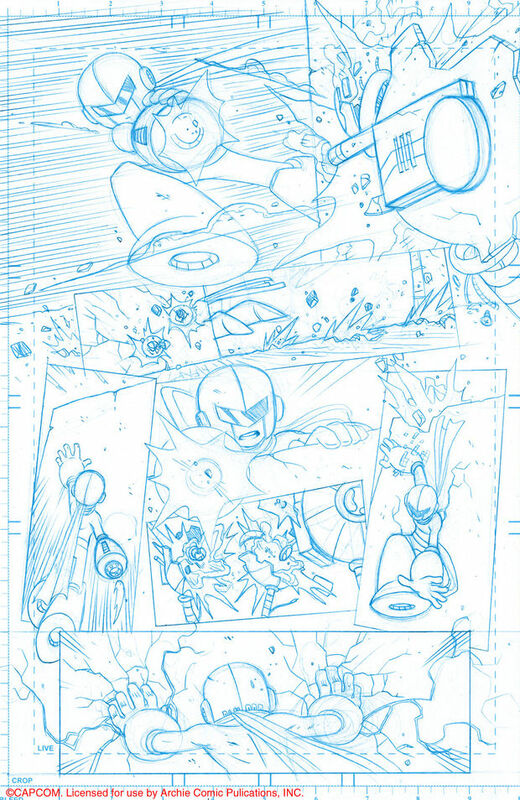 Tony Ponce has uploaded a pair of lineart sketches from issue #17 which show off a super cool, early armor for Proto Man. "Before he got himself that Racer X helmet and those killer shades, his design was closer in style to that of a Sniper Joe, basically a mass-produced Proto Man," writes Tony. Why yes; my excitement for this issue just quadrupled. September simply can't come soon enough! Anyway, I've got one of the lineart pages up here, so head on over to Destructoid to ogle at the second. It won't make the wait any easier, I tell you.